The state of being luminous, or a luminous object; brilliance or radiance. In physics, the ratio of luminous flux to radiant flux at the same wavelength; the luminosity factor. In astronomy, the rate at which a star radiates energy in all directions. 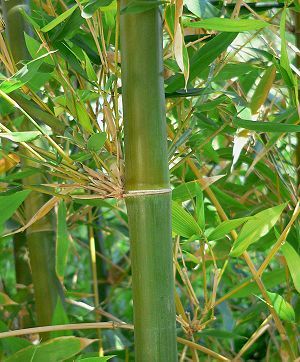 The fastest growing plant in the world is Bambusa Oldhamii, a species of Chinese bamboo also known as Giant Timber. It grows at almost 5 feet (1.5m) per day. While their owners are alive, the noses and ears of human beings, the teeth of rodents, the antlers of deer and the skulls of giraffes never stop growing. There are approximately 9,500 Greek islands, of which only 227 are inhabited and only 70 have more than 100 inhabitants. The Treaty of Windsor (1386) is the oldest diplomatic alliance in the world which is still in force. It guarantees mutual support between England and Portugal. Cleveland Abbe (1836-1916) was the first official weather forecaster in America and also the man who divided the USA into time zones. ‘The release theory sees jokes as a sort of pressure valve: a socially sanctioned way of letting out taboo thoughts and feelings. Like the superiority theory it assumes that the joke is an aggressive social act, but crucially that it is also a subversive act, a rebellion against the constraints of rational adult behaviour. A Lazarus taxon is a group of organisms that has disappeared from one or more periods of the fossil record, thought to be extinct, only to appear again later. The term refers to the account in the Gospel of John, in which Jesus raised Lazarus from the dead. An Elvis taxon is a group of organisms which has been misidentified as having re-emerged in the fossil record after a period of presumed extinction, but is not actually a descendant of the original taxon, instead having developed a similar morphology through convergent evolution. By contrast, a Lazarus taxon is one which actually is a descendant of the original taxon, and highlights missing fossil records, which may be found later. A zombie taxon or the zombie effect refers to a fossil such as a dinosaur tooth that was washed out of sediments and re-deposited in rocks and/or sediments millions of years younger. This basic mistake in the interpretation of the age of the fossil leads to its title. The discovered fossil was at some point mobile (or “walking”) while the original animal or plant had long been dead. When this occurs the fossil is described as a “reworked fossil”. Some sharks can be placed in a tonic state when flipped over. The shark remains in this state of paralysis for an average of fifteen minutes before it recovers. Scientists believe that tonic immobility, displayed by sharks, may be linked with defence, because female sharks seem more responsive than others. During tonic immobility, the dorsal fins straighten, and both breathing and muscle contractions become more steady and relaxed. 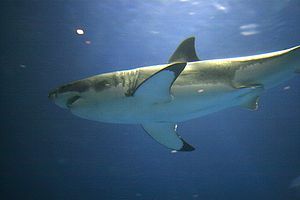 In some cases though, tonic immobility may prove a real danger for sharks. In the first recorded eye witness case of predation on a great white shark in the wild by a species (other than humans) a female orca (also known as the killer whale) was seen purposely inducing tonic immobility in a great white shark by tipping the shark upside down; this kept the shark still for fifteen minutes, causing it to suffocate and die. Or so he wrote in his will. What is myotonia congenita exactly? – to answer that question, let’s take a look at goats. Goats can protect a flock of sheep by fainting; this goat is known as a myotonic goat. Usually, they are eaten by wolves, allowing the rest of the herd to flee. They take one for the team, as it were. Older, more experienced fainting goats faint against walls to prevent falling over completely. Though painless, this generally results in the animal collapsing on its side. The characteristic is caused by a hereditary genetic disorder called myotonia congenita. When startled, younger goats will stiffen and fall over. Older goats learn to spread their legs or lean against something when startled, and sometimes even manage to limp away half asleep in an awkward, stiff-legged shuffle.